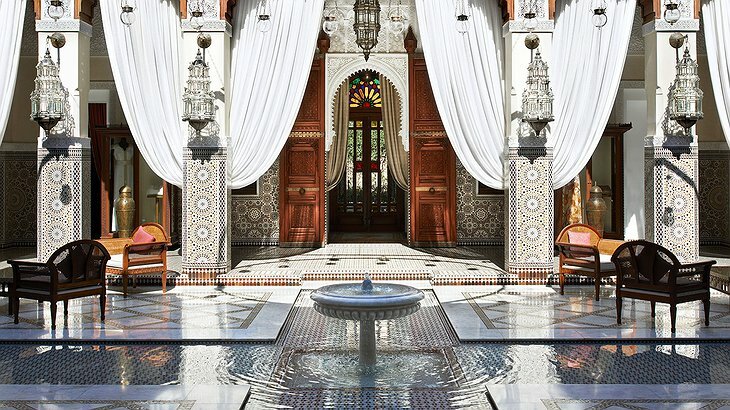 Located in the North African country of Morocco, the Royal Mansour Marrakech is a 5-star luxury accommodation that is more palace than hotel. 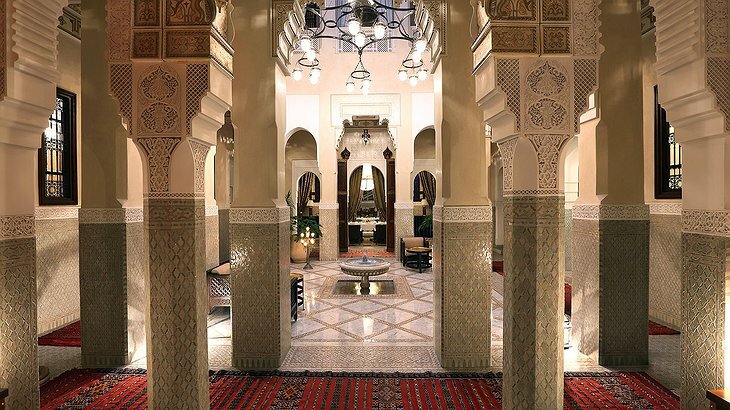 The King of Morocco, King Mohammed VI, actually commissioned the building of this hotel himself! 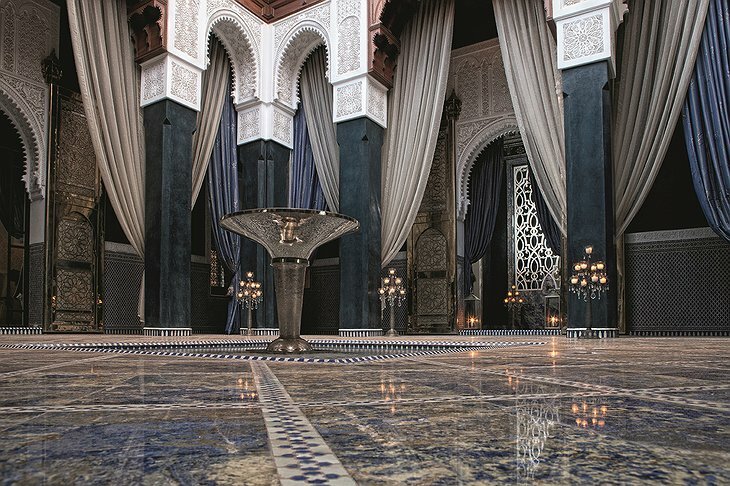 In fact, the king has used the Royal Mansour as an overspill for his royal and diplomatic guests, including Hillary Clinton. The end result proves no surprise that a king had input in the making of this magnificent getaway. 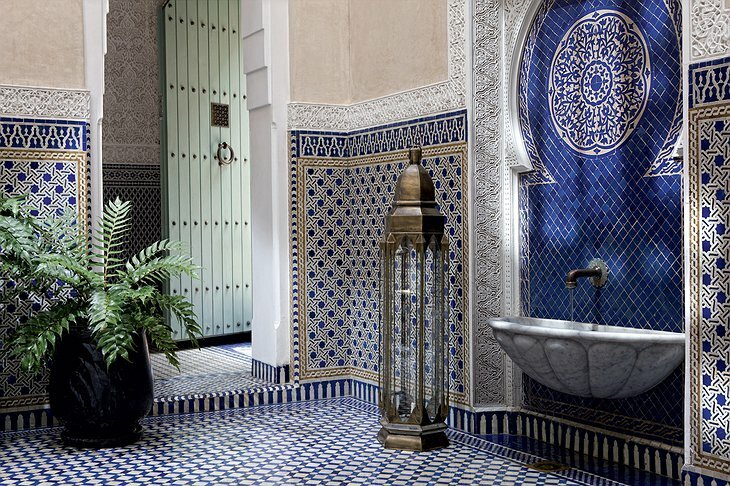 With just 53 riads (traditional Moroccan house or palace with an interior garden or courtyard), this beautiful hotel is a testament to wonderful Moroccan artistry and unmatched hospitality. 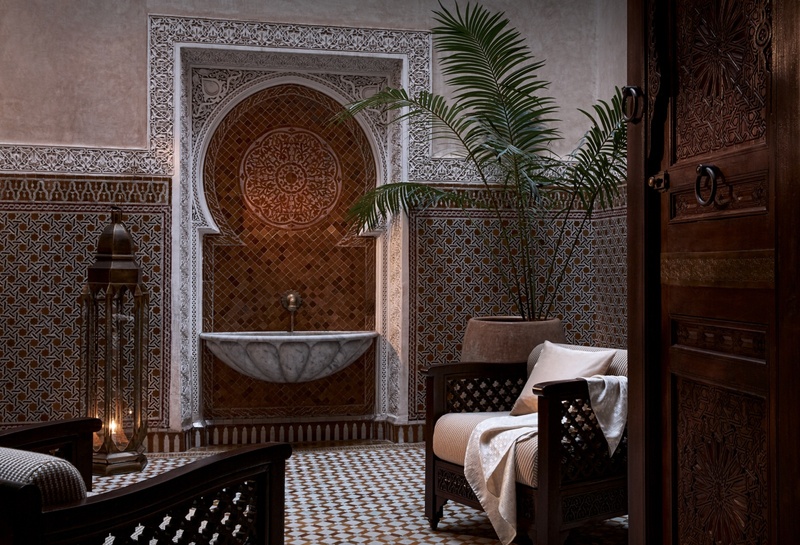 Each room includes a mini courtyard, living room, bedroom (with silk-covered walls), exquisite hand-painted doorways, and breathtaking bath facilities. 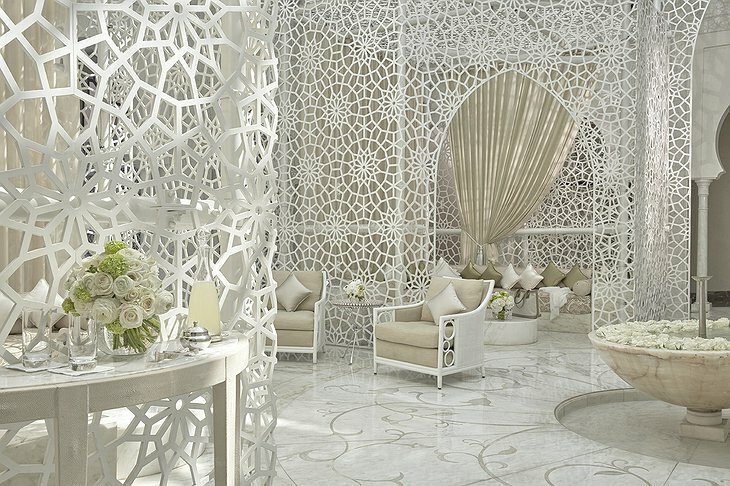 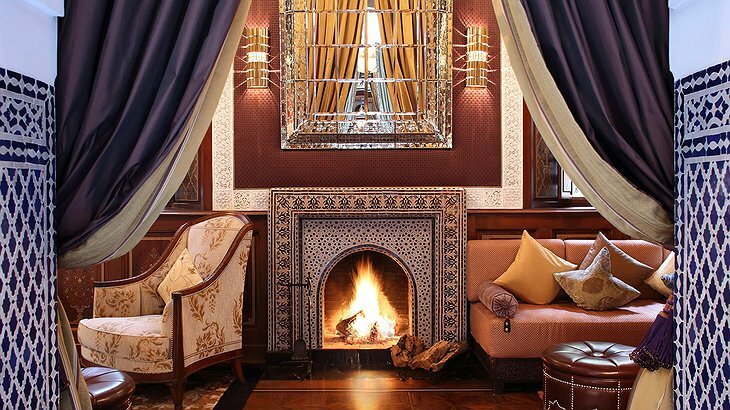 Mosaics, shells, silk, gold and mother of pearl accents are peppered throughout. 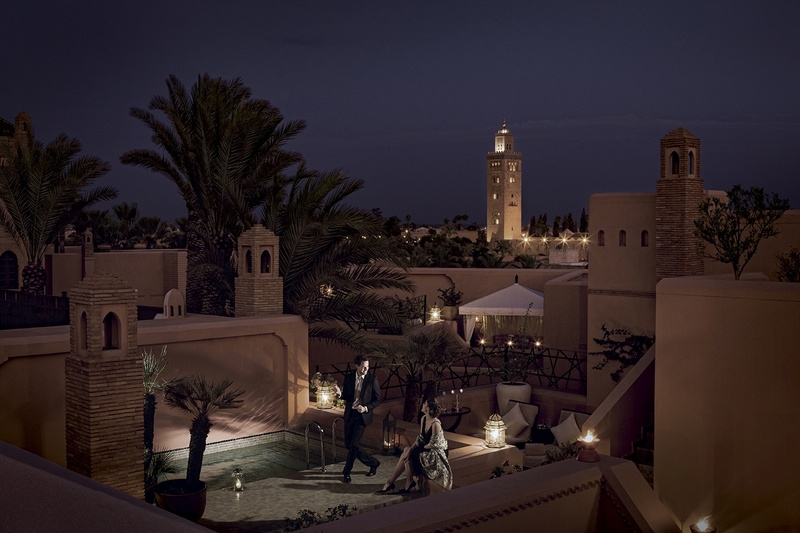 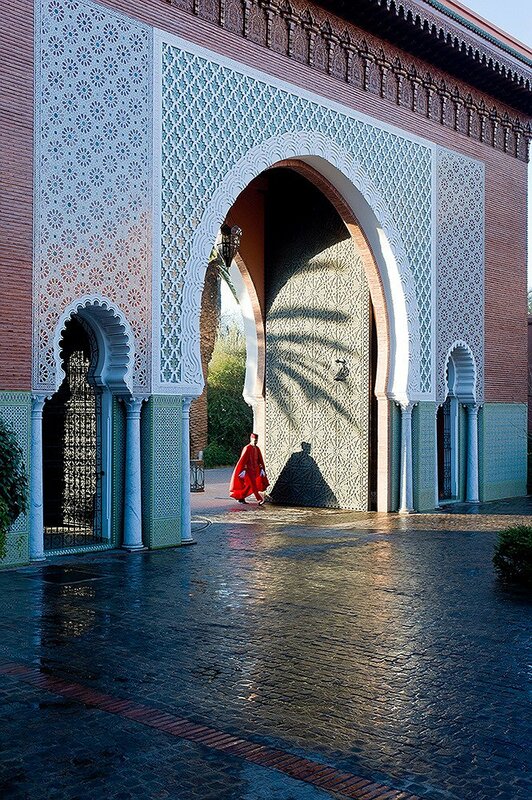 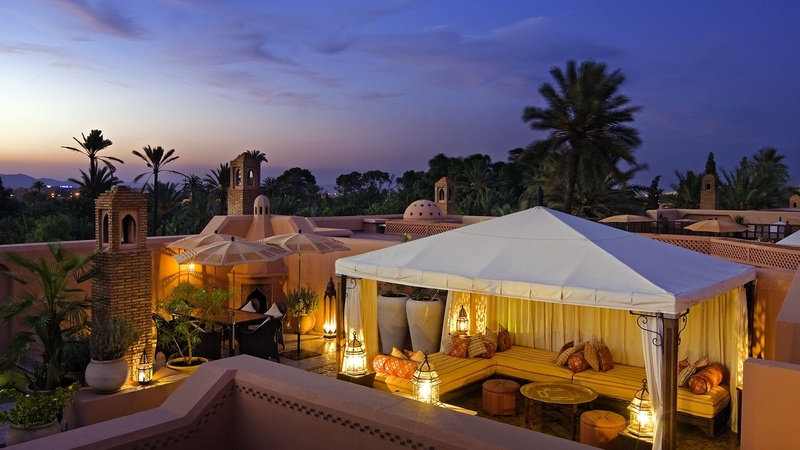 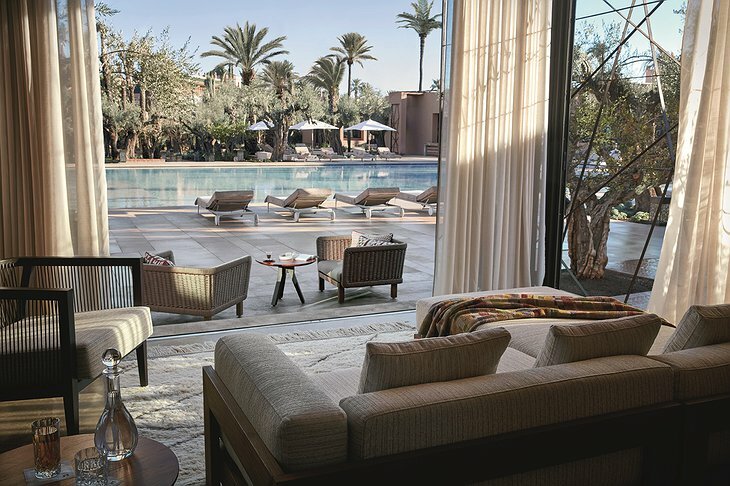 The Royal Mansour Marrakech also offers guests a private rooftop terrace with a fireplace and heated plunge pool. Did I mention there’s an underground network of tunnels for staff to ride around on golf buggies to ensure quick guest service? 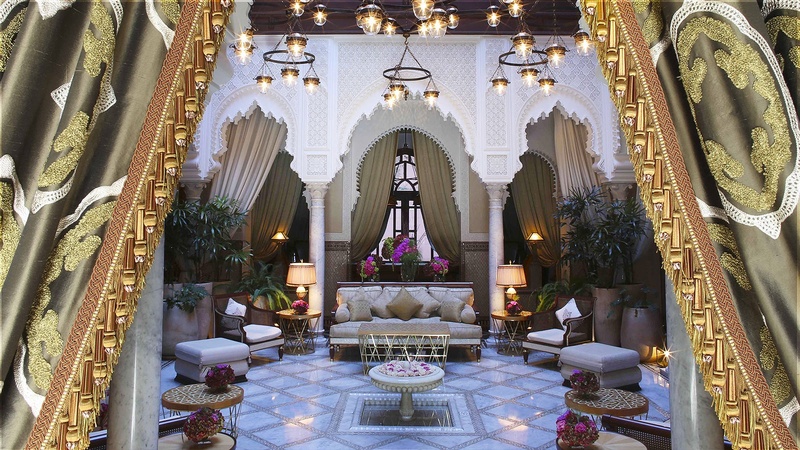 Of course, you’d expect food fit for a king here -- and the Mansour surely delivers. 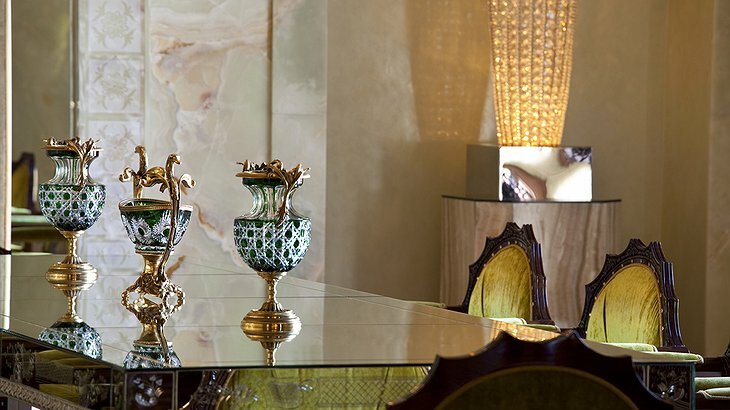 Parisian three-Michelin star chef Yannick Alléno is the mastermind behind each of the hotel’s three restaurants. 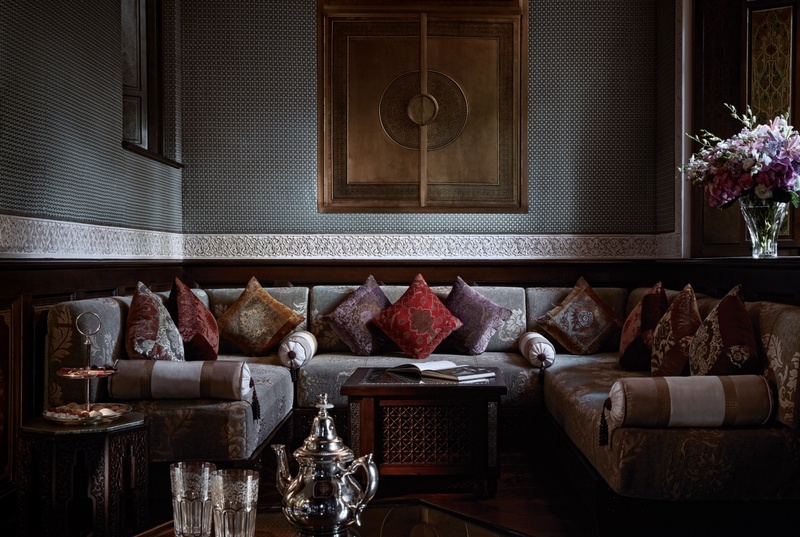 Guests can indulge on his “gorging menu” which is made up of a black truffle four-course meal (truffle ice cream, anyone?) and costs upwards of $250 per person. 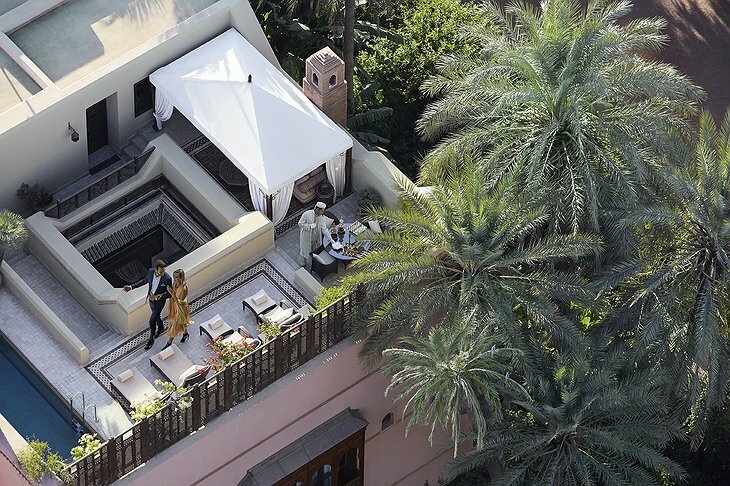 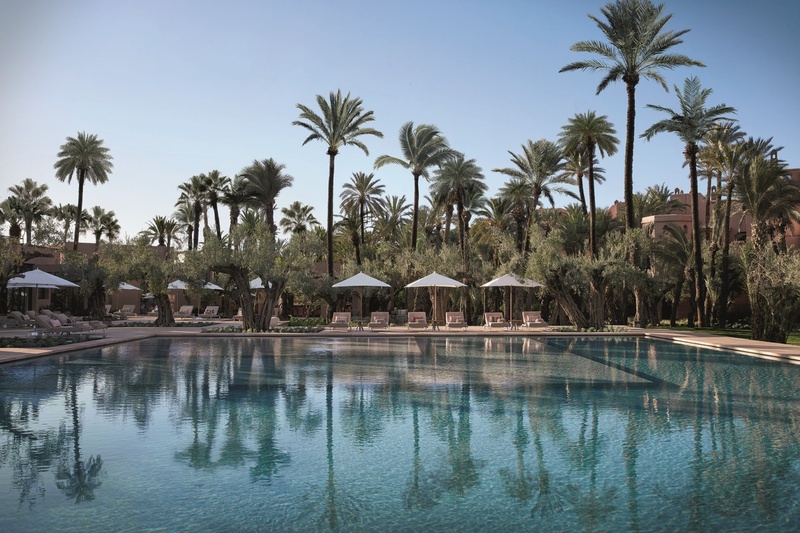 If you find yourself in the lively medieval city of Marrakech and don’t mind spending a few dollars, enjoy the royal treatment at Mansour -- you won’t regret it!